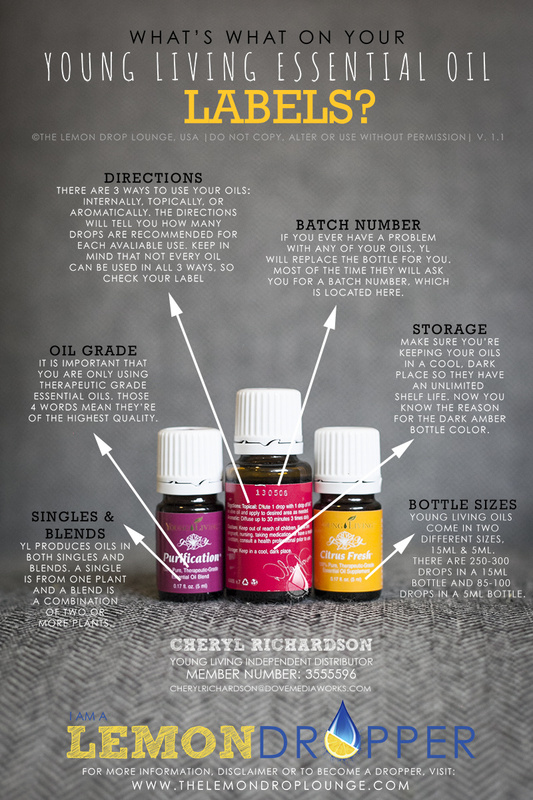 When I first started researching essential oils (EOs) I kept hearing about carrier oils (COs) and thought what in the world are they talking about. 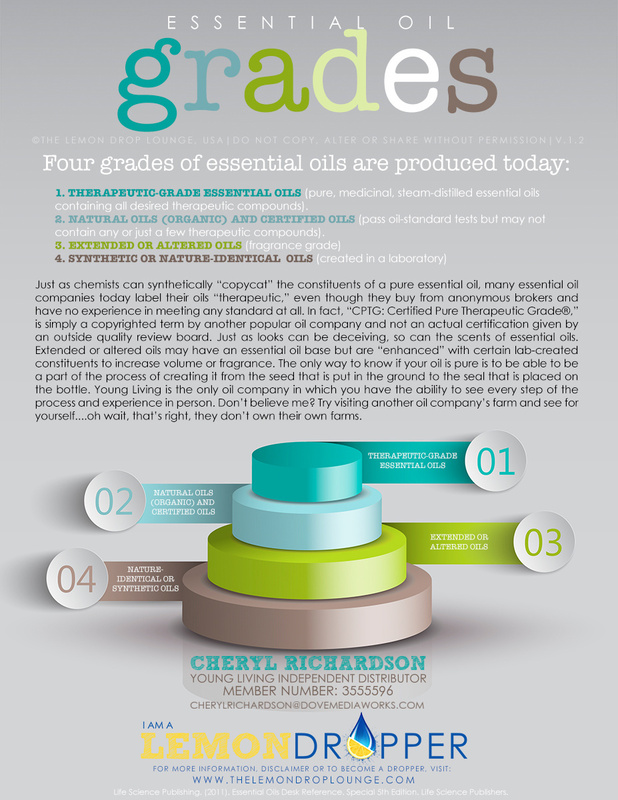 A carrier oils is a type of oil that can be used along with your EOs to dilute them in a sense. 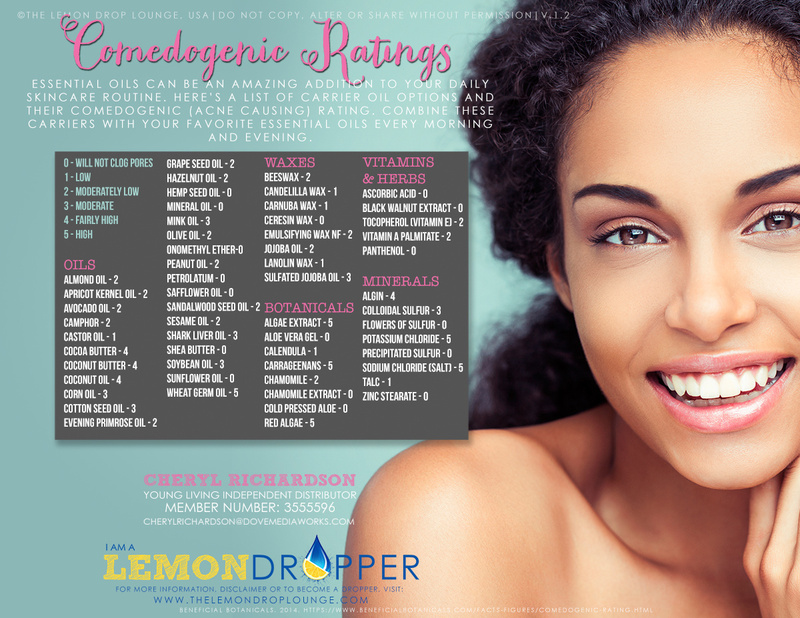 Carrier oils do not lessen the effect of the EOs, they act as a buffer, ensuring when applied topically they are comfortable, safe and help with the absorption of the EOs into the skin and bloodstream more slowly. The use of carrier oils along with your essential oils helps prevent the waste of the EOs during application and COs extend the use of an EO. 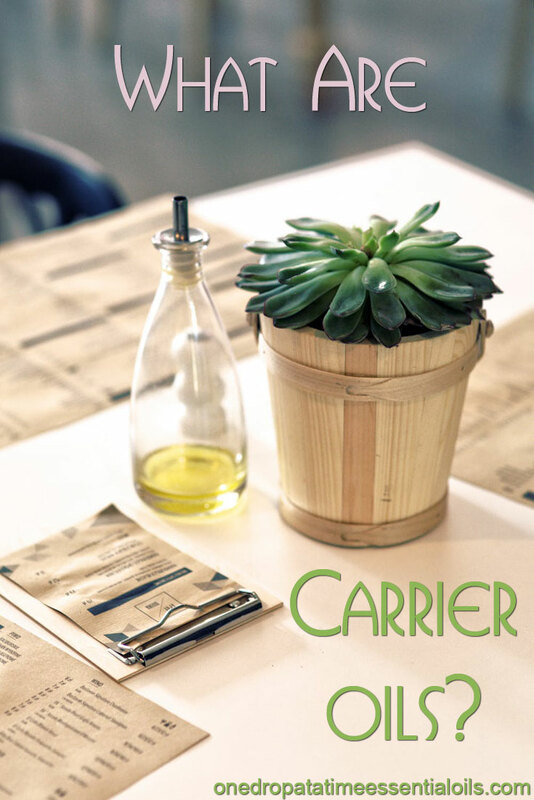 Carrier oils can be mixed with the essential oils either in palm of your hand, a glass bowl, or in a roller bottle. Always refer to the label on your EO bottle for minimum dilution ratios of adults (see graphic below for label explanation). Also, concerning children under the age of 12, please read this article. 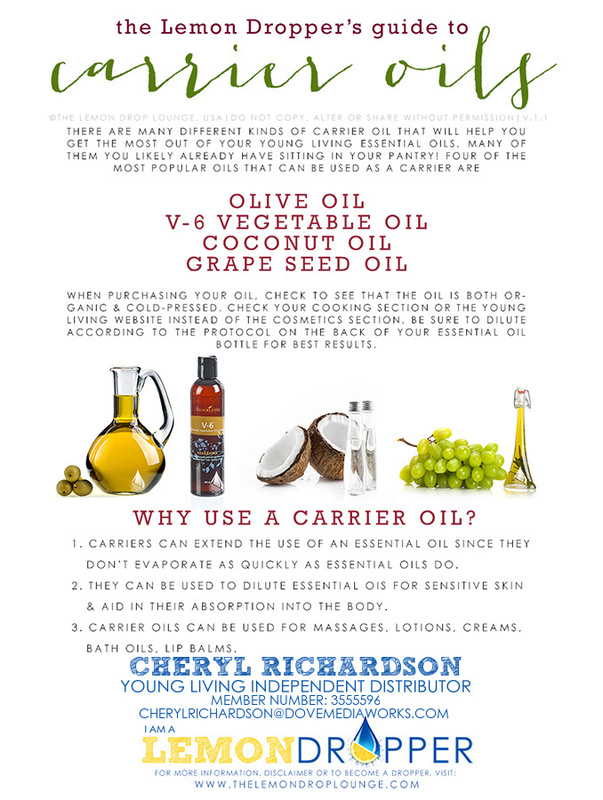 How do you know what type of carrier oil to buy? I find them in both the grocery isle and the cosmetic isle at the store. Look for oils that have been cold expeller pressed or just cold pressed, organic or organically grown plant material. V-6 Vegetable Oil (from Young Living (YL)) – This is a YL proprietary formula containing fractionated coconut oil, grapeseed oil, sweet almond oil, wheat germ oil (contains a lot of vitamin E and acts as a natural preservative), sunflower oil, and olive oil. An excellent CO for moisturizing and nourishing the skin. NOTE: When you first try an essential oil with your carrier oil of choice, be sure to skin test it on a small patch of skin. If you react to it or it seems too hot (burning sensation), dilute it with more of your carrier oil. Also, if you happen to get the EOs in your eyes (you massaged in some oils on your body and didn’t get your hands washed good enough) use your CO in your eye to help dilute the EO out of the eyes.